We are among the trusted organizations engaged in manufacturing, supplying and exporting a comprehensive array of Air Piping Systems. Our range is widely appreciated for its robustness, dimensional accuracy, and durable standards. Our product range also comprises of air compressors, screw air compressors, and air after coolers. Precisely designed under the able guidance of our professionals, these products are made available to the clients in standard and customized forms, in order to serve them in a reliable manner. Our clients can avail these products from us at very reasonable rates and within the specified time frame. We are providing our customers with the finest quality Modular Compressed Air Piping System. They are widely acknowledged for their long service life and high performance. The product is manufactured using very high-quality raw material procured from the most reliable vendors of the industry. All the products are manufactured in compliance with industry set quality standards and are available to our clients at very reasonable rates. 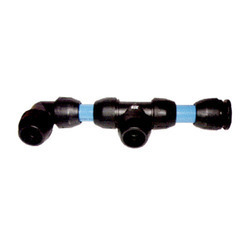 We are providing our customers with the finest quality Compressed Air Piping System. They are widely acknowledged for their long service life and high performance. 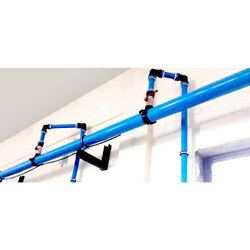 Looking for Air Piping Systems ?